My ornament swap group should have received their ornaments by now, so I think it's safe to write about what I made this year. 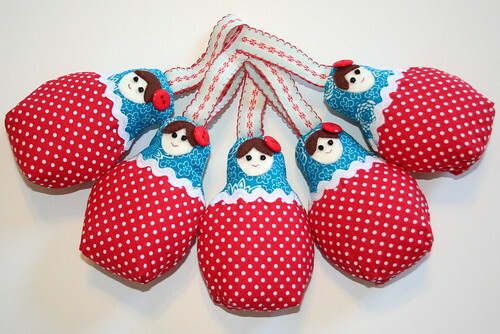 Way before I announced the swap, I'd decided to make little Matryoshkas, but I didn't really know how I'd make them. I toyed with the idea of knitting them, but sewing seemed much easier. I tried out a couple of ideas using felt, but they didn't quite look like I wanted. Then I stumbled across a pattern in a book from the library called Sew Pretty Christmas Homestyle. 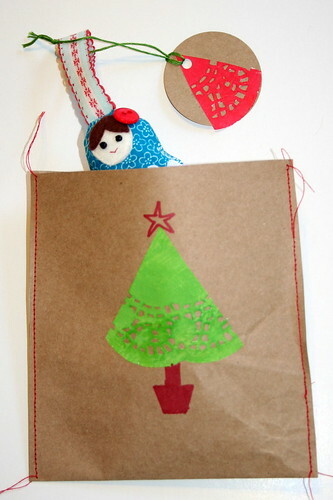 The pattern in the book was for little stuffed dolls to sit on a shelf, but I modified them to hang on a tree. I also significantly changed the method of construction to make them a bit easier to put together. I think they turned out pretty well. I used craft cotton for the main parts of the dolls and felt, embroidery thread and seedbeads for their faces. I also made some little gift bags to package them in. 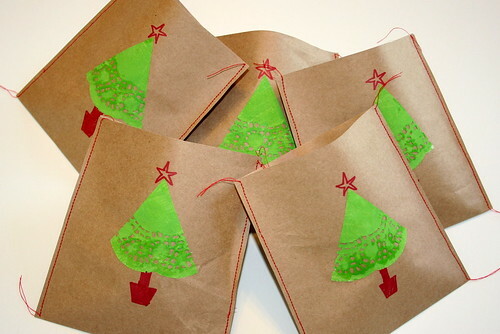 The bags and tags are made from brown paper (reused from packaging) and decorated with pieces of paper doily that I painted. I've started receiving some ornaments in the post and they are fantastic! I'll do a blog post next week with pictures of all of them. In the meantime, check out the wonderful ornaments already in the flickr group for the swap. They're darling, along with your doily trees. I love the fabrics. They are so lovely. Clever you! I will join the ornament swap next year for sure. totally gorgeous - what a great idea! Safely arrived in ChCh, absolutely gorgeous and packaged so prettily. Thank you! 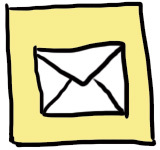 Your little package was posted today so myabe Tues or Weds next week? Thanks for organising such a great swap. They are just fabulous! Great idea for the packaging too. Very cute - and nice packaging touch! Wow! So cool. I love them.